With 2017 drawing to a close, general contractors are beginning to prepare for the New Year as the real estate market continues to evolve. As a full-service general contracting firm, SPACiO Design Build is excited for the new opportunities and trends that 2018 will bring. We have gathered a few of the trends that are sure to be important drivers in the general contracting space this year. As existing housing inventory continues to be thin, many current owners are forced to stay put in homes that no longer fit their needs. With limited new single-family home construction coupled with shrinking inventory, owners really don’t have a choice but to pour money into their current homes to re-create their ‘new dream home.’ If you are one of them, check out Houzz’s 2018 home and design trends to watch. The most noticeable new trend is the change from granite and marble to concrete. In addition to using concrete on countertops and floors, the latest craze is to use it in furniture, decorative accessories and wallcoverings. Another trend Houzz points out is wallpaper-like backsplashes. They suggest opting for tile that looks like wood, concrete, resin, fabric and even wallpaper. 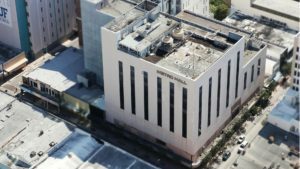 With the revival of Miami’s urban core, we will begin to see the reposition and retrofit of older properties, especially those which have historic value located in South Beach and Downtown Miami. Little Haiti and Little Havana will also experience a similar trend. Many of these older properties have been acquired during this cycle and investors will soon begin to turn these neglected buildings into trendy shops, co-working spaces, restaurants and so forth.. 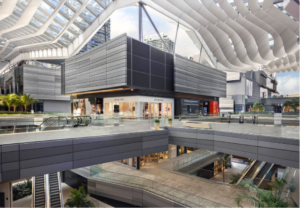 These investors are proactively looking for specialty retailers and concepts that will require more experiential designs, one that dictate a high level of creativity and innovation in the build outs. In 2016, the South Florida region added more than 1,000 hotel rooms in 2016 and another 1,300 hotel rooms are expected to open in 2017 and 2018, according to a Sun-Sentinel article. While general contractors have been busy building out the new rooms, in the new year we expect to see general contractors upgrading existing hotels in order to compete with the new generation of hotel rooms. In the past, hotels would make renovations to upgrade their look, but now they are changing renovations to meet travelers’ new preferences, desires and expectations in order to influence booking behavior. The industry is increasingly seeing hotels cater to the Millennials by focusing on health and wellness, or creating more social spaces. That is reflected in the type of remodeling we are often hired to do for hotel owners and operators. 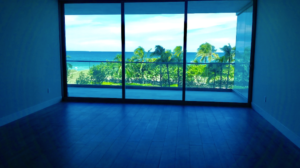 SPACiO Design Build is happy to announce that another build-out project at Oceana Bal Harbour has been completed. The unit looks spectacular and blends well with the design of the unit, which features a complete flow-through floor plan and unobstructed views. Oceana Bal Harbour is one of the most luxurious development projects in South Florida. The unit we recently completed arrived decorator-ready, so our work included installing interior hardwood flooring, tile on the large balcony, dropping the ceiling for additional lighting, installing pocket doors and audiovisual equipment, and more. As promised, we delivered the unit in four to six weeks but every unit is different depending on the scope of work. Working at Oceana is an incredible experience. With floor-to-ceiling windows and extra-deep balconies, the unit boasts some of the most breathtaking views available in Miami. Oceana Bal Harbour’s spacious homes and balconies are designed to offer spectacular views of the Atlantic Ocean to the east, Biscayne Bay and the Bal Harbour Marina to the west and Miami’s skyline to the South. It took effort not to be distracted by the remarkable views of golden sunlight reflecting on the blue ocean. Now, we move forward to our next build-out project in this incredible building. What advice would you give condo sellers seeking to re-sell their newly purchased units in such a competitive condo market? I would suggest finishing out their condo with flooring, baseboards, paint and build-out closets to show off the unit. It is easier to show an apartment with finishes when the competition has only concrete floors and primer on the walls. Most buyers want to occupy the unit or rent it out right away instead of waiting weeks or months to build-out the space. This strategy can give sellers a competitive edge. What makes Marina Palms Yacht Club & Residences stand out from many of the other new condo developments in South Florida? Clearly our marina. We offer amenities for boaters and watersport fans that are hard to find in many other luxury projects in South Florida. Marina Palms offers 40-foot to 100-foot boat slips and plenty of aquatic activities, including jet skis, kayaks, water skiing, windsurfing and snorkeling. We have it all and everything is fully managed. By the way, the 112-slip private marina provides open ocean access for boaters via Haulover Inlet just 20 minutes away. Another unique feature of Marina Palms is the size of the units. The condos are either two or three bedrooms and range in size from 1,821 to 2,500 square feet, providing a mix of luxury and value. How would you describe the profile of Marina Palms buyers? Our buyers come from different regions of the world, including South America, Canada and the US. What they all have in common is an affinity for water-based activates and the boating lifestyle. 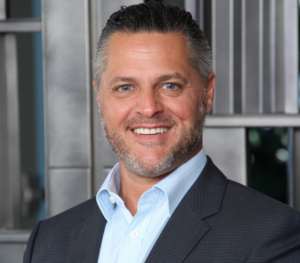 As SPACiO Design Build continues to evolve and adapt to Miami’s ever-changing real estate market, Brian Nisula discovered new ideas for growing the business in an unlikely place…an aircraft carrier. When he was nominated through the Young Presidents’ Organization to attend the Leaders to Sea Program, he didn’t expect a day at sea with the US Navy to open his eyes to new ways of thinking about SPACiO Design Build’s future. We sat down with Brian to learn more about his adventure at sea and find out what inspired him the most about the program. Q: How did the Leaders to Sea Program shape your perception of our military including our Navy? Most Americans, including myself, don’t really know what our military does on a daily basis or how hard our troops work. The Leaders to Sea Program aims to change that by inviting community leaders to learn about the Navy and help foster citizen awareness and understanding of the Navy’s role and need in general. My involvement with the Young Presidents’ Organization, a global network of young chief executives with 24,000 members in more than 130 countries, led to the opportunity. We started the day with a C2 Greyhound transport plane flight off the coast of Southern California to the USS Nimitz aircraft carrier in the Pacific Ocean that was in training to be deployed. You don’t realize how big these carriers are until you’re on one. There are about 5,000 people living on the ship, taking a tour of one is like visiting a small town. I now have a better understanding of what it means to run a tight ship. There is no room for error when you’re in the middle of the ocean. The level of effort it takes to run an aircraft carrier is immeasurable. It was an enlightening experience to see the US Navy in action and their dedication first-hand. Q: What takeaway from the tour will you apply to your endeavors to continue SPACiO’s positive growth trajectory? As a general contractor, the US Navy’s efficiency and resourcefulness are two takeaways that I can relate to. In our business, our goal is to provide a superior level of quality, professionalism and responsiveness while meeting budgets and deadlines. I was amazed by the Navy’s innovative and efficient approach to running the ship smoothly. There are so many moving parts on a ship this large. They all have to work together in order to sail forward. As SPACiO grows, taking on more projects and hiring more teams, it will be important for us to focus on increasing our efficiency and becoming more resourceful. It will be more beneficial to our clients and our employees. Let me give you an example. On the carrier, there’s an officer called the Handler. He’s responsible for positioning all the ships and planes on the deck of the aircraft carrier. He developed a system for managing the flight deck by building a model for himself using materials from a craft store. His innovative approach to managing the flight deck is a great example of how to be efficient and resourceful by thinking outside the box. After watching him and other crew members operate in terms of their efficiency, anything can be achieved with the proper organization and training. Q: What do you want to share with readers about the US Navy? I want people to know how hard our military works to protect our freedom. Everyone on the ship is working more than 14-hour days; yet, every crewmember is dedicated and does their job with pride. After seeing the rigors of their training, I would be more inclined to reach out to former military personnel to join the SPACiO team.